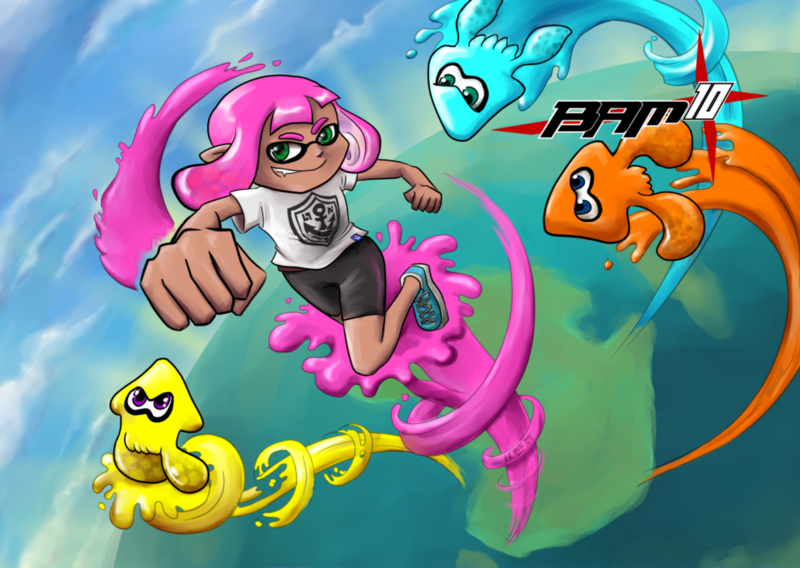 I did some poster art because I was hype about Squid Game at BAM! Battle Arena Melbourne is Australia’s largest fighting game event. It’s being held this year from the 18th to 20th of May at the Melbourne Convention and Exhibition Center. This year we’ll be joining the fun, running Splatoon 2 events throughout the weekend! I’m pretty proud of this artwork. The sketch, lineart, flats and draft background were all completed in a single session on Monday, with touchups done over the next couple of days. Apparently there’s some drawing thing going on called Mermay or something? Well here’s Singapore’s best shot at inventing a mythology for itself. 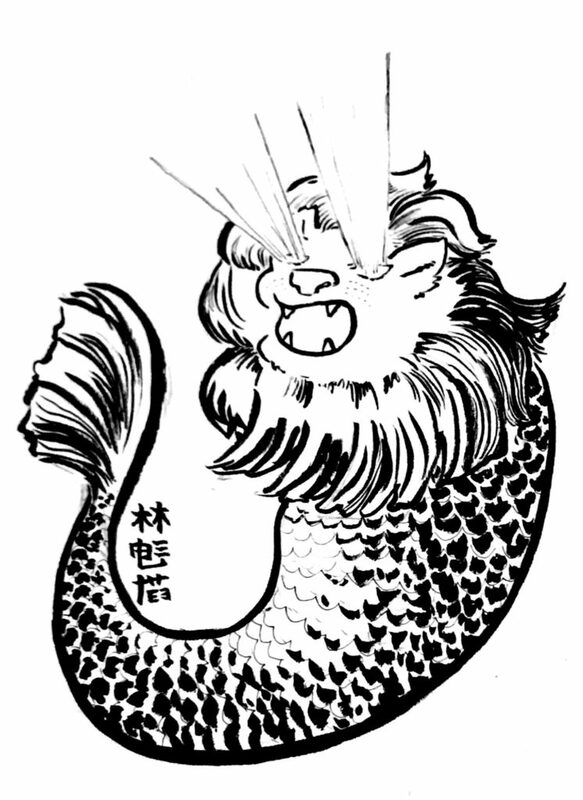 The Merlion is half lion, half fish. And it shoots lasers from its eyes. I missed the bus on Friday and spent the time waiting for the next one doing a twee little self-portrait based on my reflection in the bus shelter ad. A quick half-hour sketch. I have no idea where this one came from. 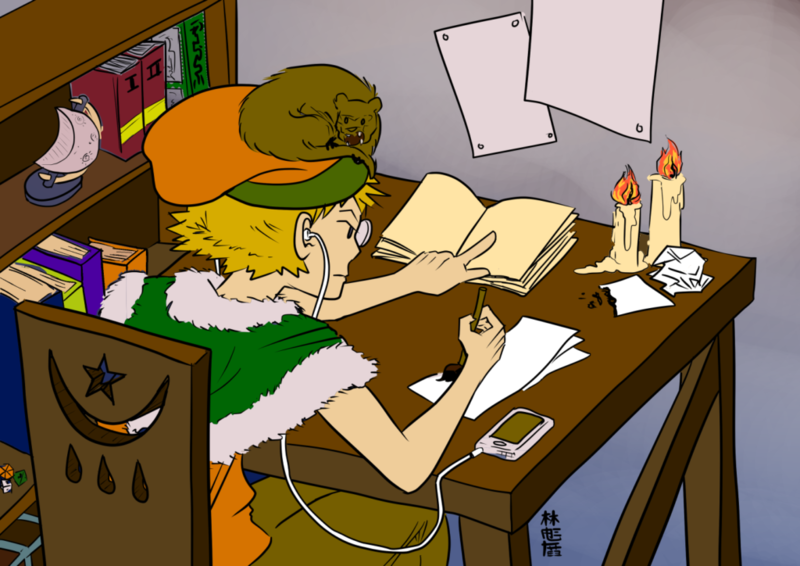 A mage transcribes single-use spells from their schoolbook. The spells are probably very basic and benign, perhaps for use when doing housework. A variety of spells can be stored in this manner. To invoke the spell the paper is burned. A quick and simple post – I may or may not be back on the blog wagon. Stay tuned to see if I can keep up regular posts during the month of May! 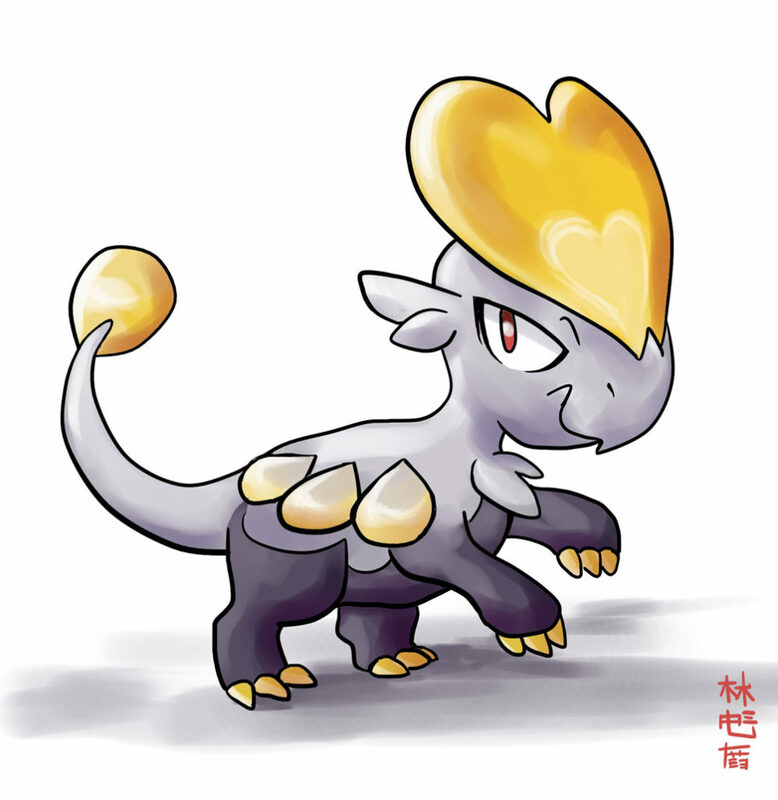 I drew the cute new Dragon Pokémon that was teased today. 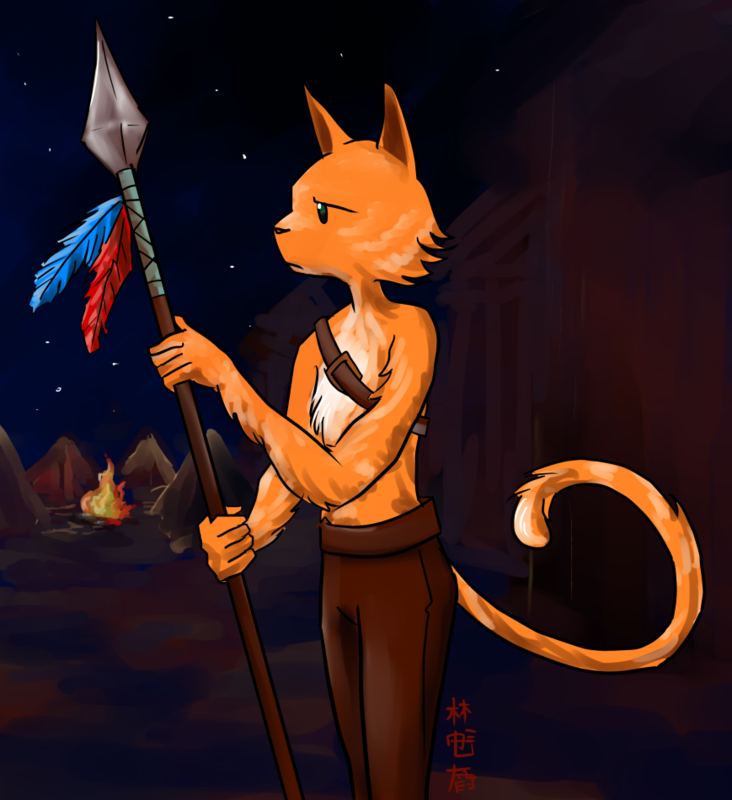 Drawn in FireAlpaca. Need to work on getting my line-weights consistent. 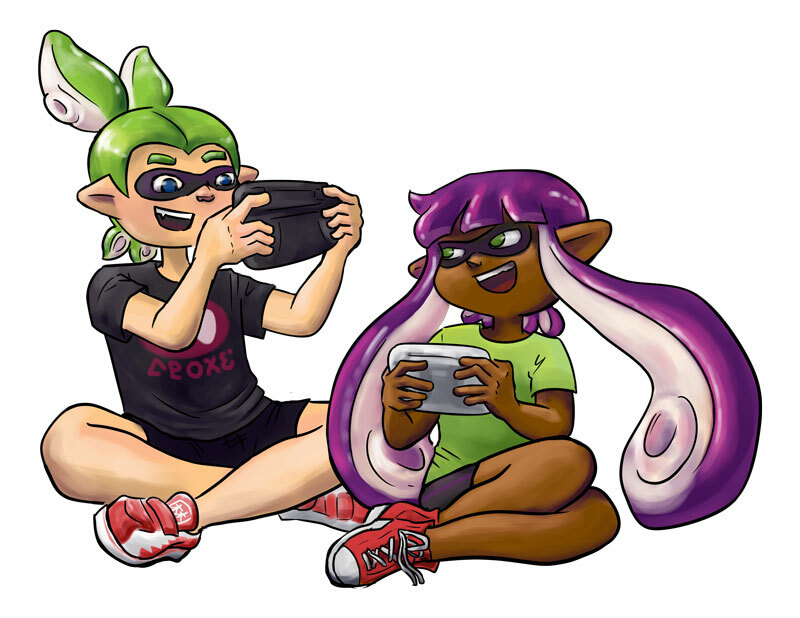 My last post for Blaugust, after a month of heavily-Splatoon weighted content. 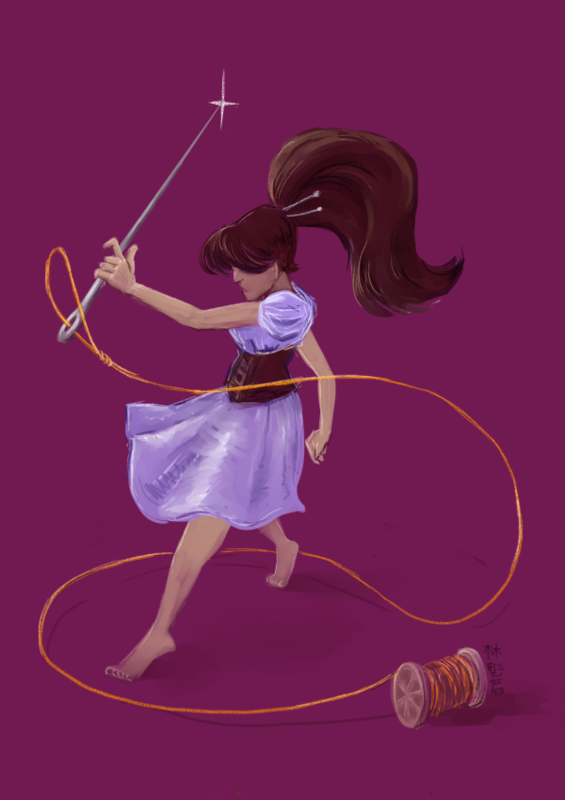 I drew this picture for a poster I’m planning. 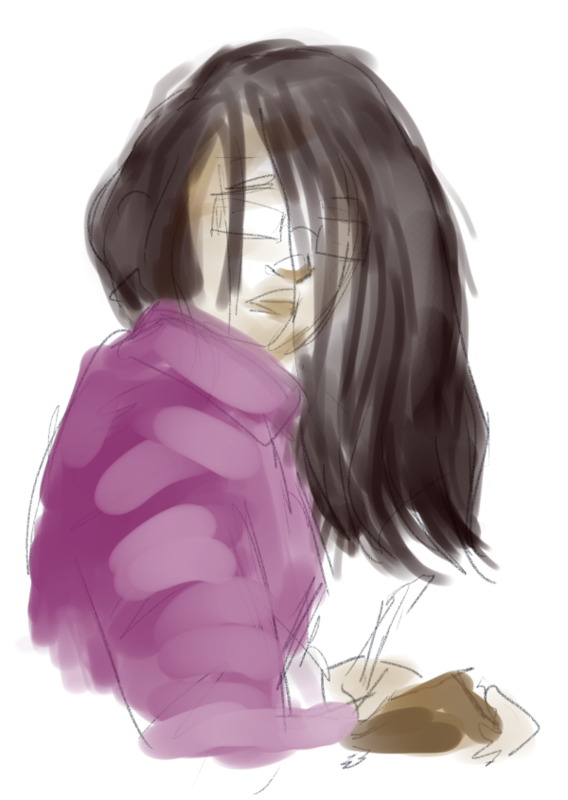 It’s the first digital art I’ve done in ages. I think the sketch process of this one was kinda funny, the very initial sketch was way simpler than I normally do but it worked quite well for establishing the feel I wanted. I inked this in FireAlpaca. 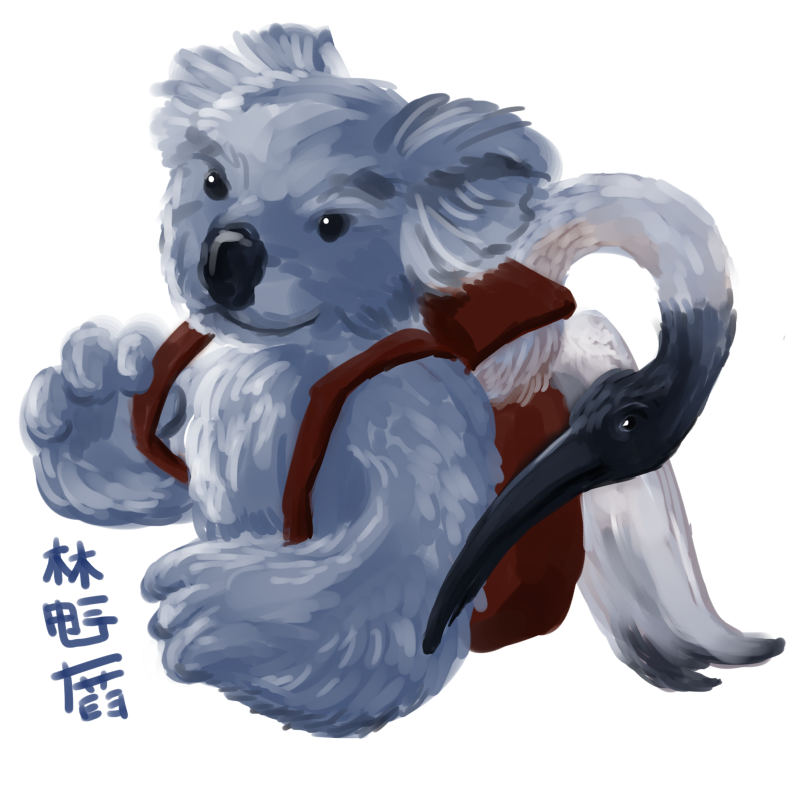 I seriously enjoy that program more every time I use it, and not just because it’s called FireAlpaca. Everything else was done in Photoshop. Today’s second post is a painting of the starting Pokémon from Sun/Moon’s new Alola Region. 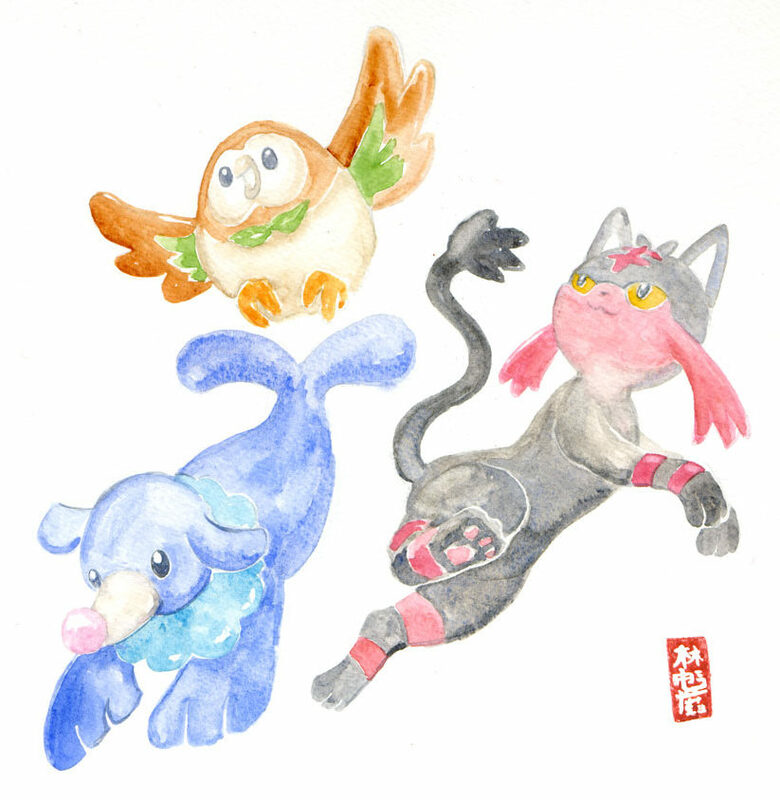 I painted this one shortly after the starters were announced.